It didn’t take long for the artwork to come out once that teaser trailer was released. There have been a few works of art released based on the Falcon’s exploits in this teaser but not much that you can purchase. This one from Big time posters is available on Etsy for approximately $20. The prints themselves are 13″ by 19″. They’re actually pretty well done and i will definitely look to pick one up in the new year. 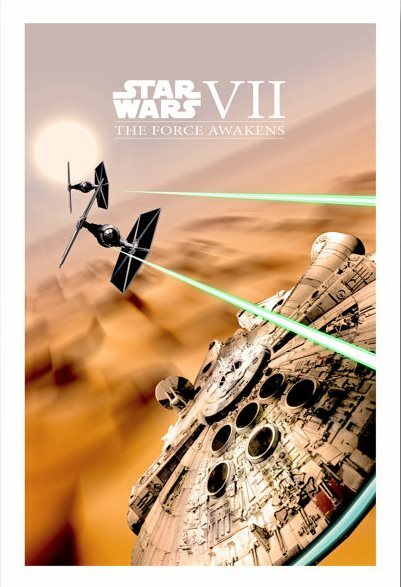 This entry was posted in Art and tagged Art, BigTimePosters, Episode VII, Millenium Falcon, Millennium Falcon, Star Wars. Bookmark the permalink.